Now we’re finding out that isn’t the case at all. Researchers have found that reading fiction changes your brain’s ability to function and make important interconnections for days after you finish reading a novel. But I believe fiction does something else important, albeit less quantifiable. Fiction changes us. It changes how we think, how we view the world, what we expect, what we believe we’re capable of. Let me note that I’m specifically not talking about the purposeful troublemakers, God bless them, such as Harriet Beecher Stowe (“the little lady who started this big war”), George Orwell or other political novelists. How they ignite arguments and change the world, for better or worse, is front and center. Instead, I’m considering the instances of just darn good storytelling, of people spinning a yarn that involves and entertains the reader, and seems to be happening to a hero or heroine with whom the reader identifies: a normal person, just like us. Much of this thinking on my part has been triggered by the recent death of Mary Stewart. It’s hard to believe, at this point in time, how very different things were in the world of genre fiction in the mid 20th century. How women–even the smart ones–were “stand-by” characters who pushed the male hero forward and occasionally fed him important information. That’s if they were smart. Much more often, they distracted him with their “feminine wiles.” In either case, they didn’t exactly move the action. Or they were fully fleshed out characters, like Rebecca in the novel of the same name–but they were trapped in a world defined by men (and really mean women). Then came Mary. 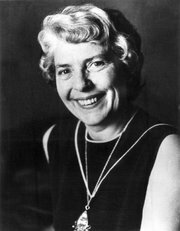 She purposefully wrote the kind of mystery/suspense novels she wanted to read: where the women were the active protagonists, marching into the fray. Stewart called her books “light, fast-moving stories, which are meant to give pleasure, and where the bees in the writer’s bonnet are kept buzzing very softly indeed,” saying she was “first and foremost a teller of tales, but I am also a serious-minded woman who accepts the responsibilities of her job, and that job, if I am to be true to what is in me, is to say with every voice at my command: ‘We must love and imitate the beautiful and the good. '” You GO, woman! Now, I don’t want to slight men here; I love men; they face their own challenges that are not easy. But I have to say, growing up in the 20th century, girls were taught, nearly universally, that even if we were capable of doing something and the opportunity had presented itself, we had to first get permission. Being proactive without first getting someone to sign off on our decisions is still a fearful thing to many of us. Mary’s heroines were scared, but they did it anyway. 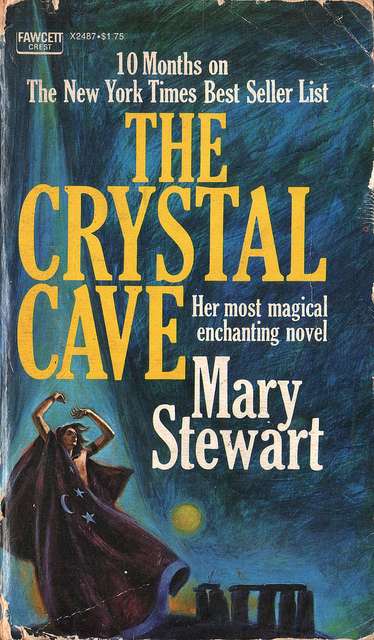 And if they could, darn it, so could I.
Mary Stewart’s book that rocked my world was The Crystal Cave, the story of the young Merlin–but told with a modern sensibility, not as a medieval bard’s tale. “The day my Uncle Camlach came home, I was just six years old.” OMG. The fantastical and the every day married in such a way that made the everyday holy and magic, and made the stakes of being yourself so costly and dangerous but profoundly worth it. Life could be like this. Writing could be like this. This was the path that called me, and once I’d taken the first step onto it, there was no turning back. Thank you, Mary. Thank you very much. 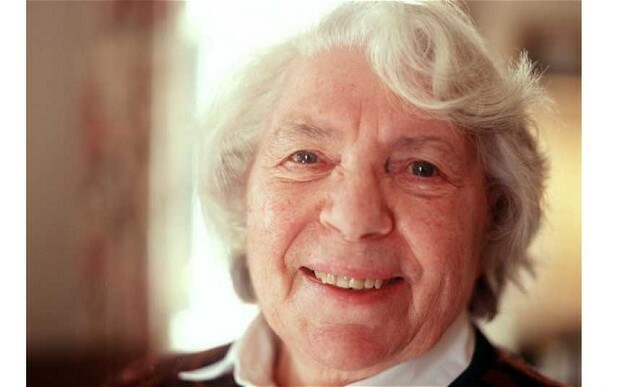 Many of the writers I most admire follow Mary’s advice that “the bees in the writer’s bonnet are kept buzzing very softly indeed.” To me, this is a very important part of affecting change in a person, and eventually, in society. By picking up a novel, you get to walk a mile (or ten) in that person’s shoes. Try on a new level of courage, of action, of thought, of living in a larger world, just to see how it fits. Perhaps before you would be comfortable with those changes in your skin, you will be comfortable with them, by proxy, in the character’s skin. And that’s how the possibility takes root. Many, many writers have taken us forward down Mary’s path of “the beautiful and the good.” Here are some of my all-time favorites. Let me just note that the number one qualification for being on this list (in my mind is a very long version) is that you are one hell of a writer, who takes the craft very very seriously! 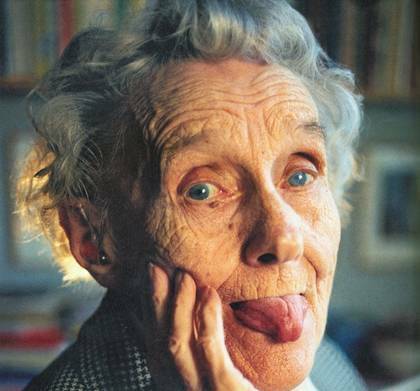 Astrid Lindgren. 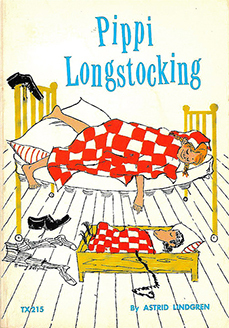 Seriously, was their ever a girl who needed less permission than Pippi Longstocking? She was stalwart, courageous, a fast friend and a defender against pirates. She was also hysterically funny. Apparently, she caused all sorts of trouble with those who are grand proponents of doing as your told and following the rules. Astrid wrote many other books, and none of her heroines asked permission. 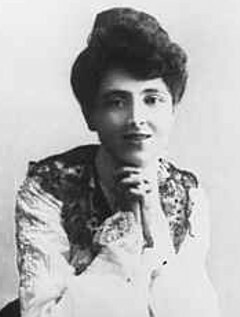 Fanny Flagg. 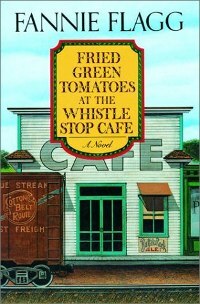 Fried Green Tomatoes at the Whistle Stop Cafe is a tale of women with lots of troubles in their lives and lots of folks telling them what they can and can’t do. You get so involved, it’s not even a question about who it’s proper to love. Love is always proper. Heart, hilarity, and really good barbecue. 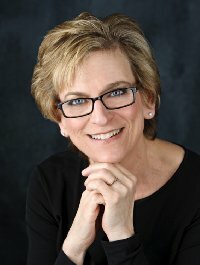 Anita Diamant. In The Red Tent, Ms. Diamant tells the familiar biblical story of Jacob and his children–or, more specifically, Leah, Rachel, Zilpah and Bilhah and their children–through the eyes of daughter Dinah. Turns out men and women tell the same history very differently, and it’s about time the other voice was imagined and heard. L.M. Montgomery. 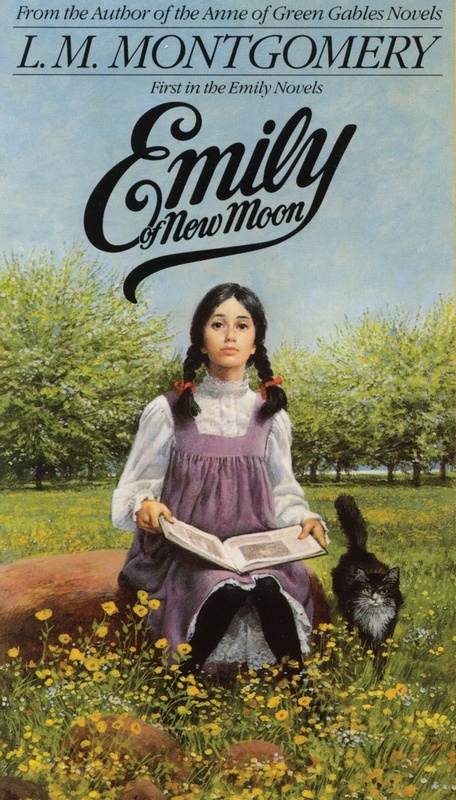 Lucy Maud Montgomery lived a life uncomfortably like those of her heroines Anne Of Green Gables and Emily of New Moon. After her mother’s death, she was given by her father to be raised in a loveless home by stern aunts. Instead of bemoaning her lot, she lived in her imagination, and wrote stories about young girls who, through force of their personalities and knowledge that they belong to “the tribe that knows Joseph,” are able to transform the world around them. 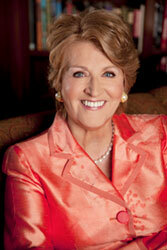 Her books have transformed the lives of many many girls the world over since. J.K. Rowling. We all know the story; the young, single mother on welfare who toiled over a novel it seemed no one would publish. 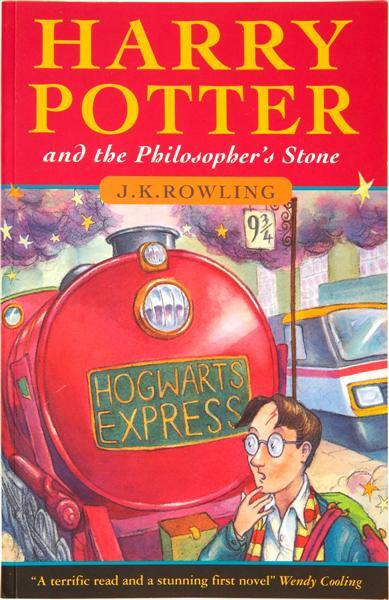 Instead, Harry, Hermione and Ron showed kids and adults the world over how to live in a magical world where good and evil clearly exist, and children are able to affect their own destinies, as well as that of the world around them. 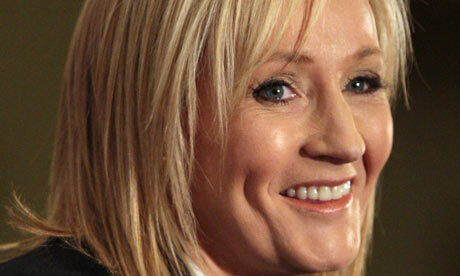 Well done, Jo Rowling. Well done.